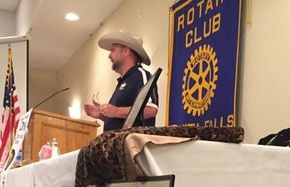 Volunteers may close hall early on Sundays if downtown is quiet. will take effect after May 1st! regarding scheduling a guided tour or renting facility for event! 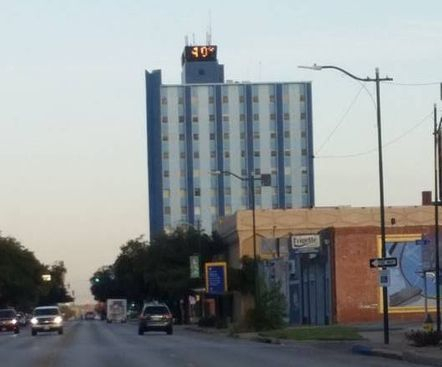 If you are coming to Wichita Falls for the PWHF, we will be happy to stay open or open on an off day if we have advanced notice! Click on Patreon to visit our Page! JOIN the PWHF PATREON page where you can be a part of history! 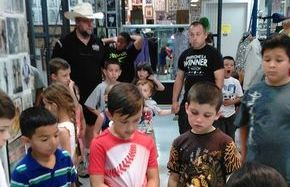 Contact the PWHF via email to schedule at tour on days we are closed. Just a little more than a month away from the 18th Annual Induction weekend full of events May 16, 17 & 18th, 2019!! Wichita Falls will be taken over with Professional Wrestling for the entire weekend! With 7 living PWHF Inductees this year, we are excited that 5 of them will be joining the festivities this year. Plus WFWA, "Where Wrestling Comes First", is bringing in some of the best Indie Wrestlers from coast to coast. We are excited to welcome these greats to our town too! Watch here for the flyer and updates soon!!! 18th Annual Hall of Fame Induction Activities Tickets are selling now and fast! We will be making more announcements soon about Inductees, Hall of Famers & Legends who will be attending. 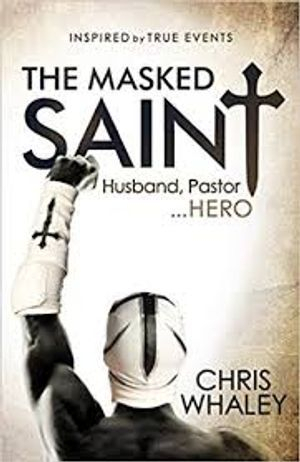 Sponsorships are still available for the Induction events such as the Q&A with Chris Whaley and showing of the Masked Saint, as well as the WFWA presented Wrestling Under the Stars IV event, Banquet and more. Become involved in an organization that honors the men & women of this great sport/business. Also, we have a few tables left for the Trade Show. If you are an organization, promotion or sell merchandise, contact the PWHF today. If you reserve your table before April 15th, receive 50% off Table cost. Email info@pwhf.org Subject Line - Trade Show Info. 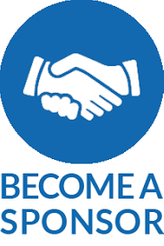 If you are interested in having a BOOTH space at the Trade Show visit the PWHF EVENTS page, there is a booth application form available to download. Red Shoes Dugan - Referee inductee, his family will be in attendance. Randy Rose, one of the original Midnight Express, tag team members will be in attendance to accept his Ring. We hope the other members will be here too! 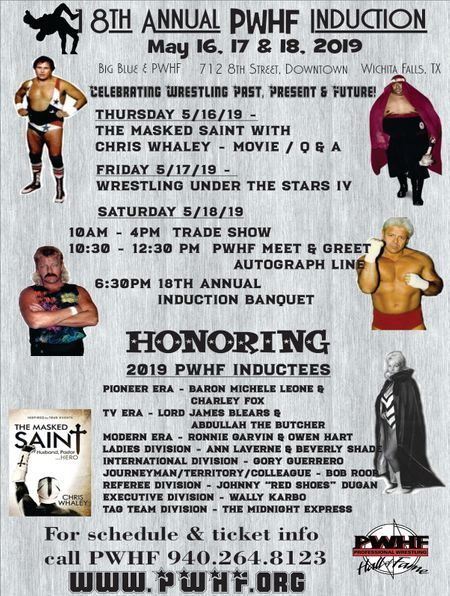 Saturday, May 18th - PWHF Tradeshow with merchandise and memorabilia; PWHF Annual Meet & Greet Autograph Line; and the 18th Annual Induction Banquet. All the time you can tour the PWHF, visit the downtown area which has grown tremendously since we opened, visit the area's other museums and attractions. 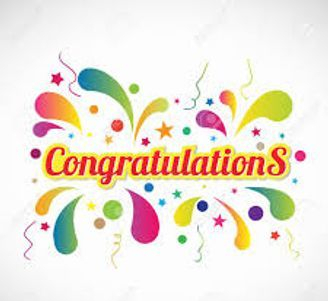 The PWHF Board of Directors and Fans around the globe send CONGRATULATIONS to all of the 2019 Hall of Fame Inductees. We've got an exciting Induction weekend being planned to honor and celebrate these deserving Men & Women of this amazing business and sport we call Professional Wrestling. 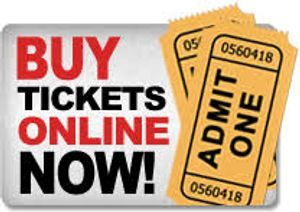 Update - The online ticket site has been updated with this year's information, our events page has been updated with ticket info and the host hotel and other hotel contact info has been added. We will be posting the banquet location after the first of the year. We will continue to update the Events page with all of the confirmations of attendance as we receive them. 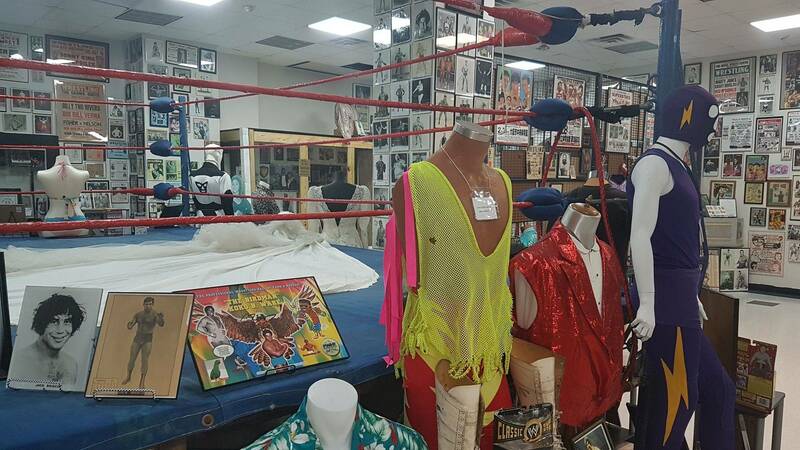 The PWHF is proud of the growing archives of programs, personal photos & albums, news clippings, promotional photos and other pieces of history and research that has been acquired and donated from around the World. Thousands of these items are being scanned in and now made available via our subscription page on Patreon..... The digitizing of these items is very time consuming process. We will work on this weekly. Through this site you will be supporting the archives of the PWHF as well as helping cover the costs of the scanning and processing of the archives. Special THANKS to Teddy Gordienko for spending weeks at the PWHF scanning documents, paperwork, letters, and other info for our site! 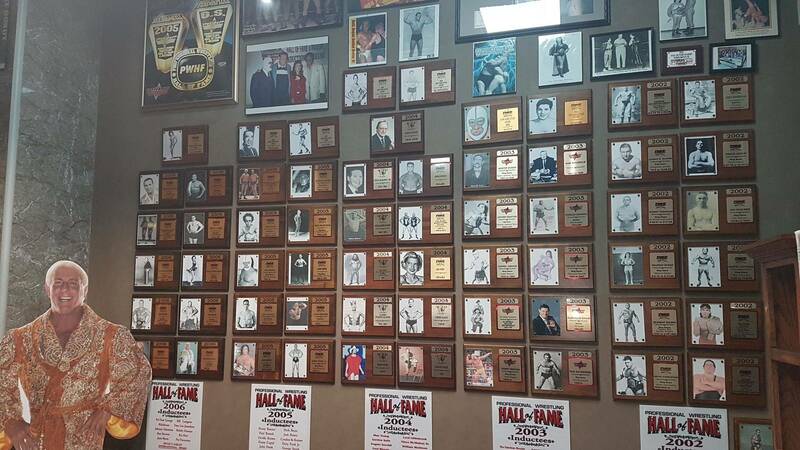 The PWHF Museum is operated daily by Board Members and Volunteers who are as passionate about Wrestling as our visitors and fans..... Stop by to see what the real history of wrestling is all about! The PWHF was created and continues today to tell all the stories of wrestling past, preserve the history for future generations. We are not affiliated with just one wrestling promotion but promote and recognize them all. We support all wrestling. If you are a wrestling organization, please register and add your shows & events. Please make sure to make note if they are NOT family-friendly. Fans feel free to visit the Calendar to find Professional Wrestling in your area!! Come out to support your local Indy Wrestling organizations. There are great organizations around the World running weekly, monthly; just search for professional wrestling in your local area or check our Wrestling Event s Calendar. 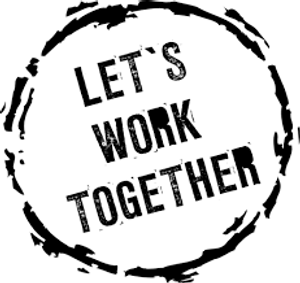 If you own, run a Indy Wrestling promotion and want the PWHF to come #sharetheloveofwrestling, give us a call or email info@pwhf.org! Support the PWHF every time you make a purchase on AMAZON. Just order through Smile.Amazon.Com and choose the Professiona Wrestling Hall of Fame as your charity of choice and shop away.... every purchase sends a percentage back to the PWHF! With the school & holiday shopping seasons upon us, what a great way to spend those online dollars!! The PWHF is a 501(c)3 non profit, first chartered in NY through the board of regents in December 1999. We accept monetary donations, as well as items for donation or loan for displays. If you'd like to support the PWHF in any way, please hit the donate button! Day Cares, Schools, Colleges, Group Homes, Church & Day Camps all welcome at the PWHF. We have guided tours available by knowledgeable volunteers, plus a children's play area and other interactive displays. Group Rates Available. 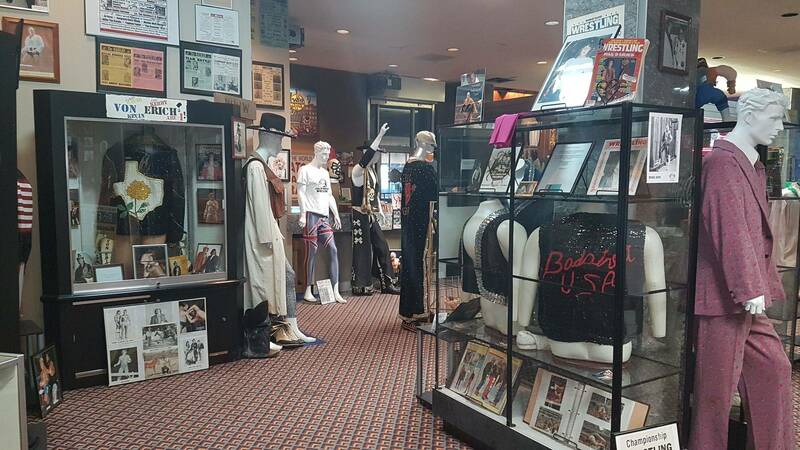 PWHF Merchandise is available online & at the merchandise store inside the PWHF Museum. There is always a mix of items available, including past years Induction shirts & programs (while they last), past event signed posters, Caps, Shirts, Hoodies and more. The PWHF Board President, our Head Volunteer or any of our Board of Directors are available for your speaking engagement. There are many topics that Professional Wrestling can reach, as well as helping you relive those memories from your youth. If you have a group or organization interested in a speaker from the PWHF, please send us an email or call the PWHF at 940-264-8123.